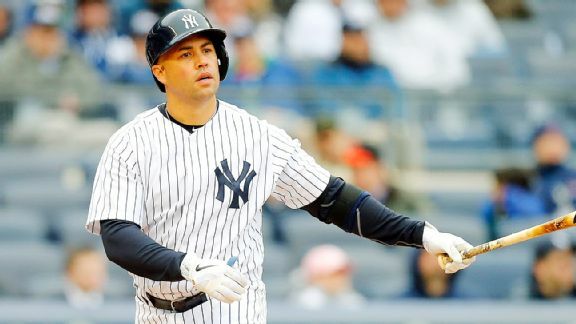 After missing three weeks because of a bone spur in his right elbow, Carlos Beltran returned Thursday to try to help the Yankees' struggling lineup. For the third time in his tenure with the New York Yankees, CC Sabathia has been the beneficiary of a triple play. 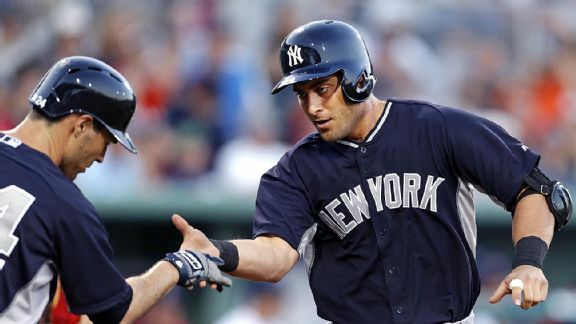 The New York Yankees placed backup catcher Francisco Cervelli on the 60-day disabled list Tuesday with a strained hamstring. 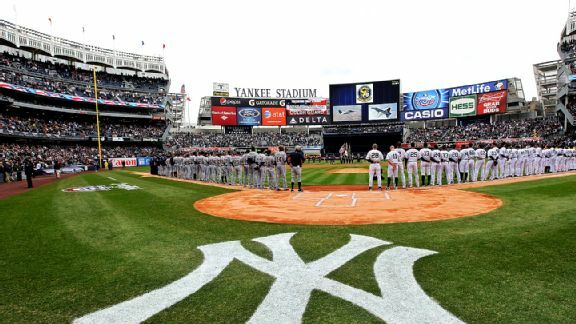 Even though they are in the midst of an infielder shortage, there is "no way" that the New York Yankees will sign free agents Stephen Drew or Kendrys Morales, a source familiar with the team's thinking told ESPNNewYork.com on Monday. The Oakland Athletics have bought outfielder Casper Wells from the Toronto Blue Jays. Oakland Athletics second baseman Scott Sizemore is scheduled for a second reconstructive surgery on his left knee Tuesday, another blow for the infielder and reigning AL West champions after he missed all of last season. The Oakland Athletics chose Scott Sizemore and Eric Sogard over Jemile Weeks for second base this spring, but Sizemore sprained his left knee Tuesday, suggesting Weeks could be back in the majors this week. The second base battle in Oakland is a little less crowded. 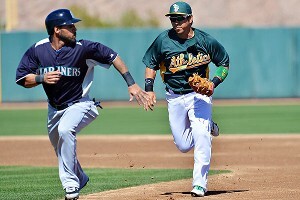 The A's sent down Jemile Weeks to minor league camp Sunday, reports John Hickey of InsideBayArea. I wrote a short bit about how the Oakland Athletics are that rare team that still has pretty major decisions to make this spring, about who's going to start in their infield and why. GLENDALE, Ariz. -- Two weeks away from the start of the season, most teams have a handle on what they expect to happen. At this point, most clubs are making the obvious decisions for the obvious reasons, and a month and a half hasn't changed anything.